Hot and busy are the two words that I would use to describe this summer. I hear life slows down as the temperature goes up, but so far it hasn’t happened. A packed calendar of weddings, family reunions, birthday parties, work, and all those wonderful activities that are just more fun in the sun has left me a little weary. I’ve become nostalgic for a summer of lazy afternoons on a shady porch with a cool glass of lemonade. And in the meantime, having had no success at simplifying life, I’ve decided to simplify my cooking. 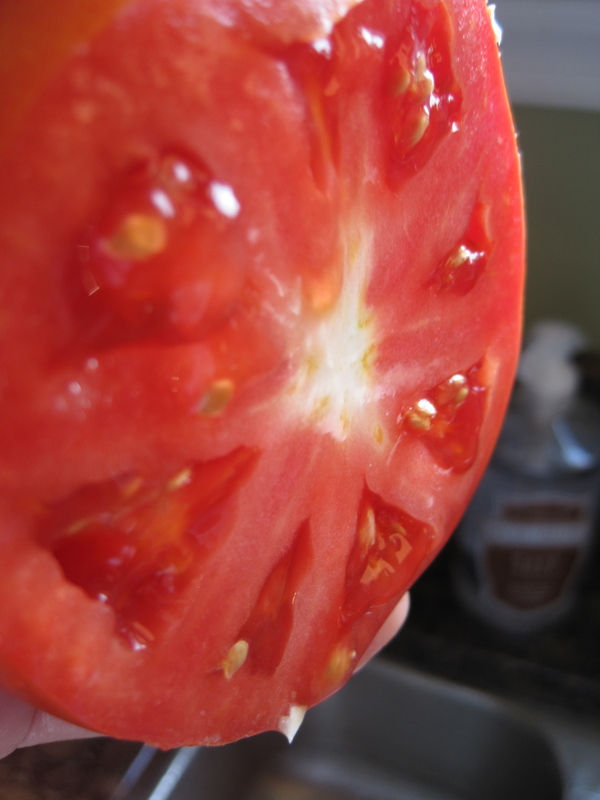 Fortunately, summer produce makes this easy. 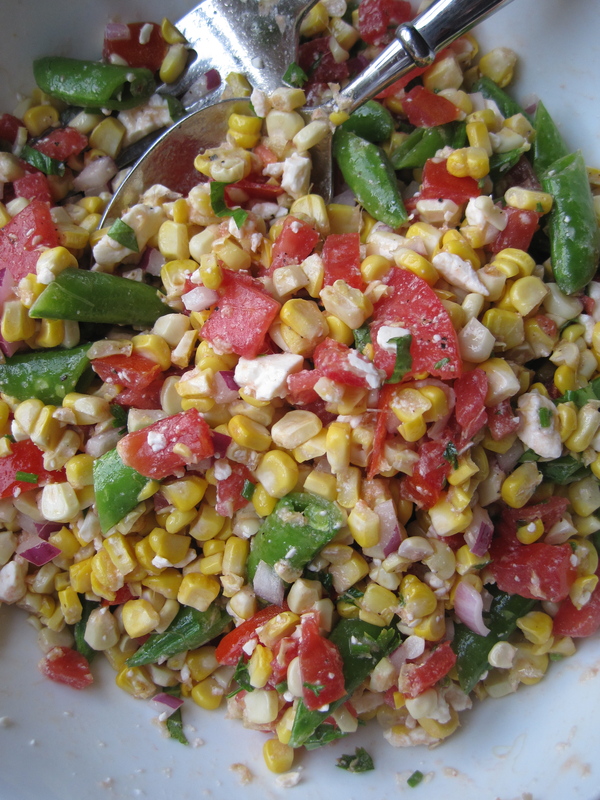 Colorful, refreshing, and full of summer flavors this summer corn salad is the quintessential summer salad. It also is the perfect recipe for using up summer bounty’s (or the results of a recent over-the-top farmer’s market visit). Consider that it comes together quickly and is easily adapted to use up whatever you have on hand, and it’s clear why you’ll want to keep this recipe in your back pocket. 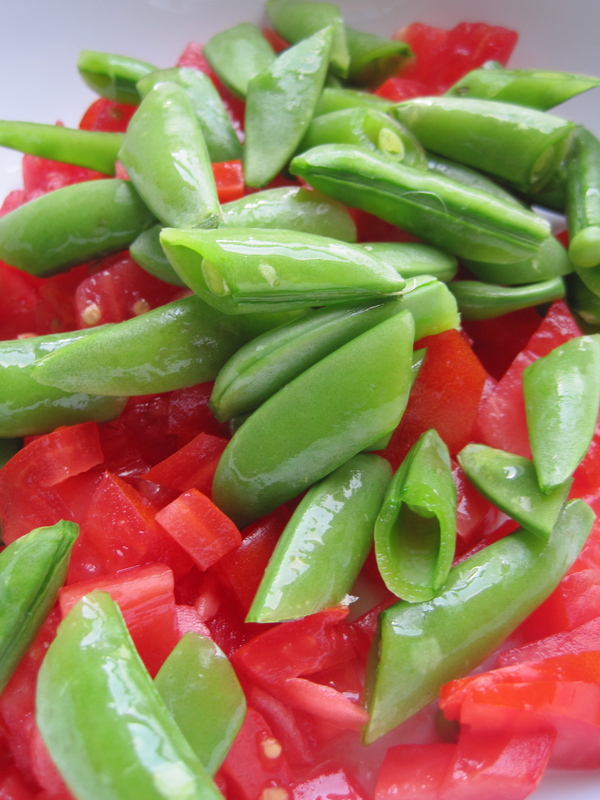 If you decide to use sugar snap peas in this salad, be sure to remove the strings. On each side of the pod are two strings that run the length of the pea. I remove one string at a time, although it is possible to remove both if you break off the end and pull the tip over one of the flat sides of the pod. 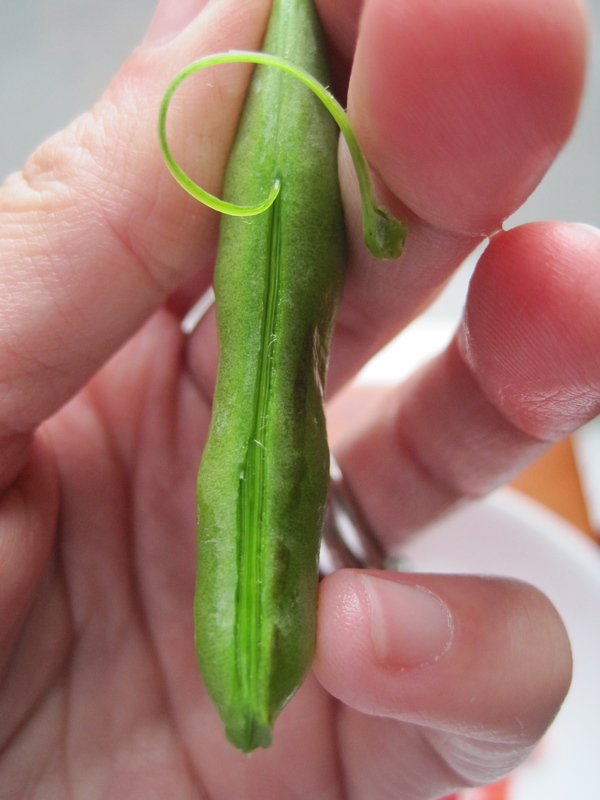 If you are in a rush, cutting the sugar snap pea in half makes the string less of a nuisance and saves a little time. This salad should be made with whatever you have on hand. It’s a great way to use up lots of vegetables and saves well in the refrigerator (we had it two nights in a row this past week). Use red wine vinegar infused with hot red peppers for an extra kick! Turn the broiler on high and place a rack in the top third of the oven. 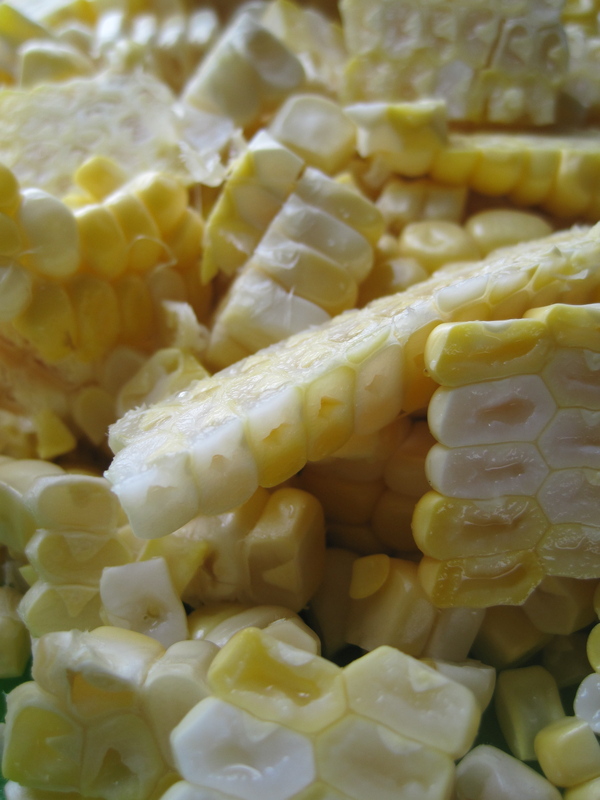 Spread the corn kernels on a large baking sheet. Broil for 5 minutes to soften slightly. Remove the kernels from the oven and let cool. 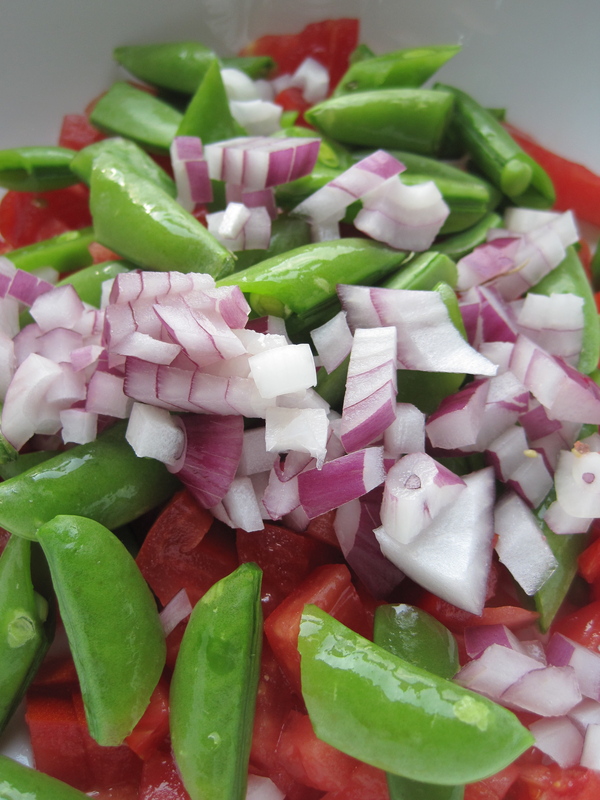 In a large bowl, combine the corn kernels, tomato, sugar snap peas, red onion, herbs, and feta cheese. Toss to combine. In a small bowl, whisk together the extra virgin olive oil, the red wine vinegar, salt, and pepper. Sprinkle the dressing over the vegetables and toss to combine. Sounds like supper TONIGHT! Makes me feel cooler just reading it. Just made extra corn in order to try this recipe for a barbecue. Thanks, Renee! I hope you enjoy it. Has been a crowd pleaser all summer! So glad to hear it has been made and enjoyed! Thank you Nikki. Your mother told me about your blog and I love it! I have made this salad several times already and it’s delicious. Simple and yummy!